Well done Squash. Without any back and forth between us you located the Samarinda airfield almost exactly where I located it on my Rising Sun map. That's good to hear Gubi - I just looked at the terrain and guessed where the most suitable place to build an airfield would be. Sometime after I altered the map I was looking at the area on Google earth again and low and behold, north of the river is a faint feature that could be the remains of a runway. Actually, to the best of my knowledge, it was located some 3 or 4 miles east of Samarinda, north of the river...deep in the jungle. Cheers and thanx again for your wonderful map. V Bort, 2/27/93: "across the river and deep in the forest." L Bentsen 3/16/95: "East of Samarinda." Simsem 9/2/95: "In the jungle, to the east". Ahhh; Yes! I will change the location of airfield but not yet - maybe at the next update/rework. I think this is ok as (correct me if I'm wrong) the only major missions flown from Samarinda were to attack the Japanese Balikpapan invasion convoy 23rd Jan 42. By the way, do you have any detail about this air attack - most of the references I have read simply mention 9 Dutch B-10 bombers escorted by 20 Brewster B339c (Buffalo) fighters - some accounts say the Buffalos were armed with 100kg bombs - and they managed to sink one of the transports. I can find no info about aircraft losses or casualties. There was a mission launched by the USAAF from Samarinda on the 4th January 1942. 8 x B-17Es from the 19th Bombardment Group (Originally 9) took off from Malang/Singosari on 2nd January but were beaten back by the weather. They tried again on the 3rd and arrived at Samarinda to refuel and arm. Targets were Transports and Warships in the Davao Gulf. Yep, looong flight! Flight launched at 05:15 and was conducted at 10,000 feet, climbing to 25,000 for the bomb run by flights. Targets identified as 12 transports and 34 warships. Claims 1 X Destroyer sunk , one x Battleship damaged and numerous near misses. IJAAF tried to intercept from Davao City airfield but couldn't get the height. All aircraft returned safely to Samarinda at 14:30 with less that 250 gallons of fuel remaining. Unlike some sources on the interweb, this correspondent has actually walked all over the airfield. 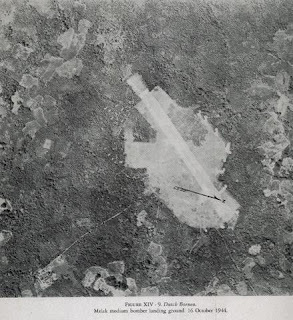 As far as I can see that was the last mission tried by heavy bombers from Samarinda, as it required a week of dry weather to operate bombers from there and further strikes were staged through Kendari in Sulawesi. solotk. I had not seen that photo before. Thanx for finding it and sharing. Squash, don't move the field on my account. I think there is a lot of "educated guessing" that must be used. I had assumed that the af was between Samarinda and Melak. Since we don't have a direction from the photograph, it's hard to say, but might have been actually east of Melak. Again for a limited use field, I think you are more than close enough. Anyway do what you will. Thanx again. I love the map but cant run it. I have deleted the text in the labels file which will cause a large drop in FPS when full but when I open the map and zoom in, it turns into a slide show. Has anyone else had this? with Google Maps using the DMS coordinates. I do not concur with your descriptions of where the airfield was. and ~7km NW of Melak , Indonesia. aerial photo supports that this is the location.